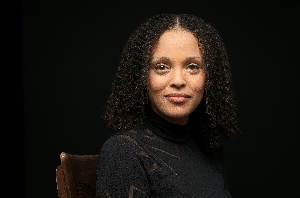 Wed, January 16, 2019 7:30 P.M.
One Book, One Philadelphia 2019 kicks off with a reading and conversation between Jesmyn Ward, author of the One Book featured selection Sing, Unburied, Sing, and WURD President/CEO Sara Lomax-Reese. Their talk will be followed by a performance of an original work from Curtis Institute of Music composer Elizabeth Younan. This free event will conclude with a book signing. No registration is required.